St Andrews Prospect01263 715779work01603 870304fax Self-cateringA detached cottage, all on one level, with pleasant views over fields and the local Church. This property provides comfortable and homely accommodation in a peaceful area of Norfolk, yet is only a reasonable drive from Norwich and the Norfolk coast. St Andrews Prospect offers weekly bookings starting on Saturday. 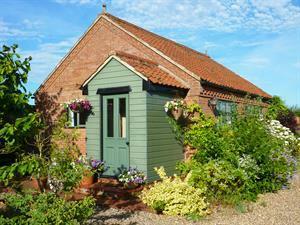 A detached cottage, all on one level, with pleasant views over fields and the local Church. This property provides comfortable and homely accommodation in a peaceful area of Norfolk, yet is only a reasonable drive from Norwich and the Norfolk coast.